Back in February, I helped my sister and her family get quite a few spaces in their home organized. 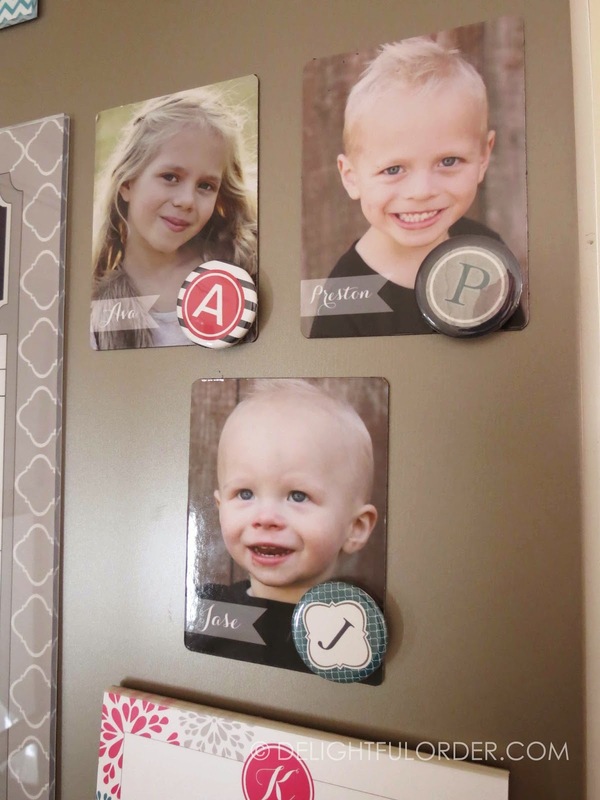 I already shared the laundry room/craft room/office all in one makeover and how we organized their children's paperwork, memories and more. 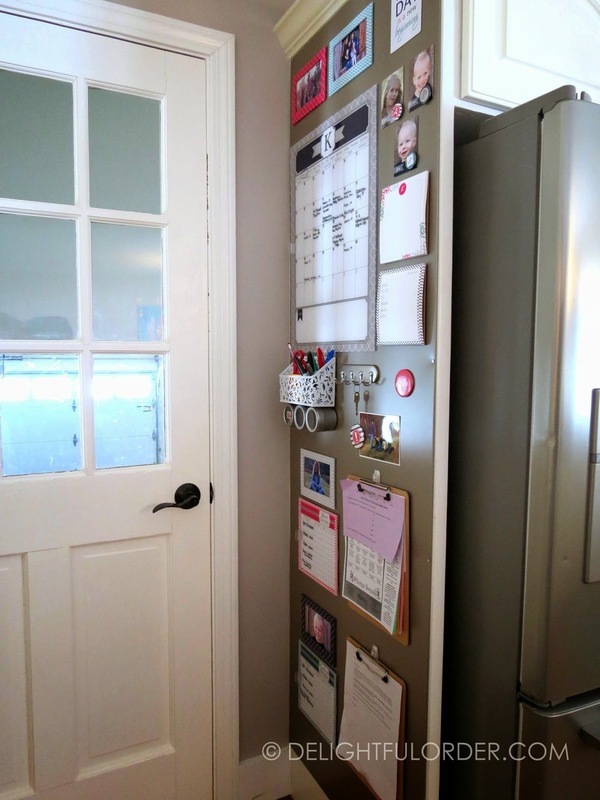 Today I'm sharing how we organized a pretty kitchen command center. I LOVE how it turned out! I recently created a similar command center to this is in my home too. I'll share mine with you all soon. For real, I LOVE pretty organization ~ and I LOVE creating pretty organization! I designed most of these pieces and they are available in my Zazzle Shop. The magnetic pieces can be found here. The large dry erase calendar can be found here. This is NOT magnetic. It has sticky backing. It comes with a black dry erase marker and mounting equipment. It's AWESOME!! 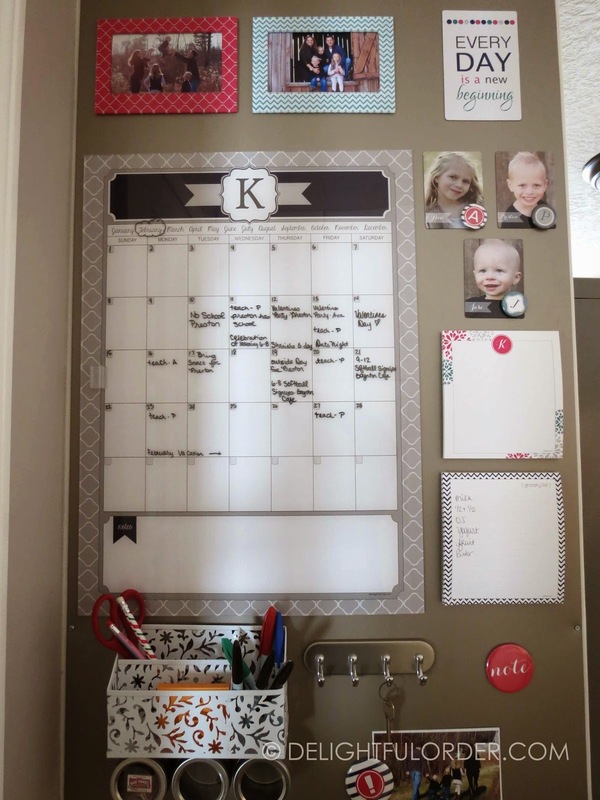 I have this same calendar (but different color) and I absolutely LOVE it. It's big enough for keeping track of any busy schedule. I use a wet erase marker on mine, not the dry erase marker that it comes with. The custom floral notepad on top can be found here. The blue chevron grocery list can be found here. We hot glued magnets to the back of these notepads. They are not sent as magnetic pieces. 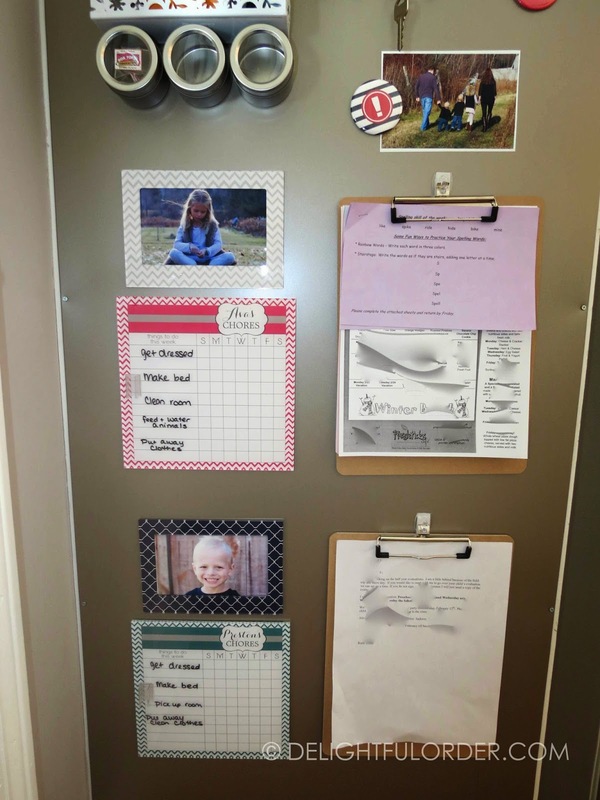 The dry erase chore charts can be found here. AND I do have clipboards in my shop too - these ones are not mine. I have similar wall in my kitchen, but mine is much messier!! Could you tell me which magnet hooks you are using for hanging clipboards? 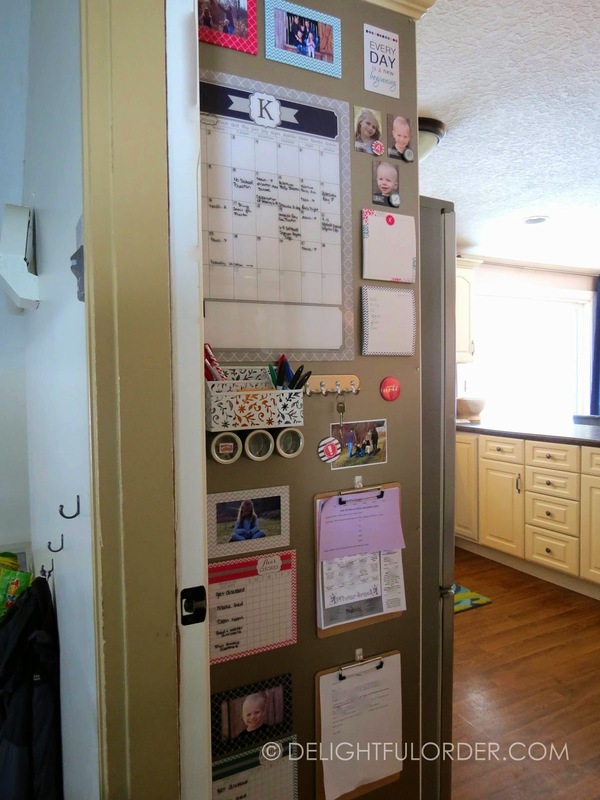 What is the large magnetic sheet you have everything attached to? How did you adhere it to the wall? I see some small nails around the edge, but that is all. 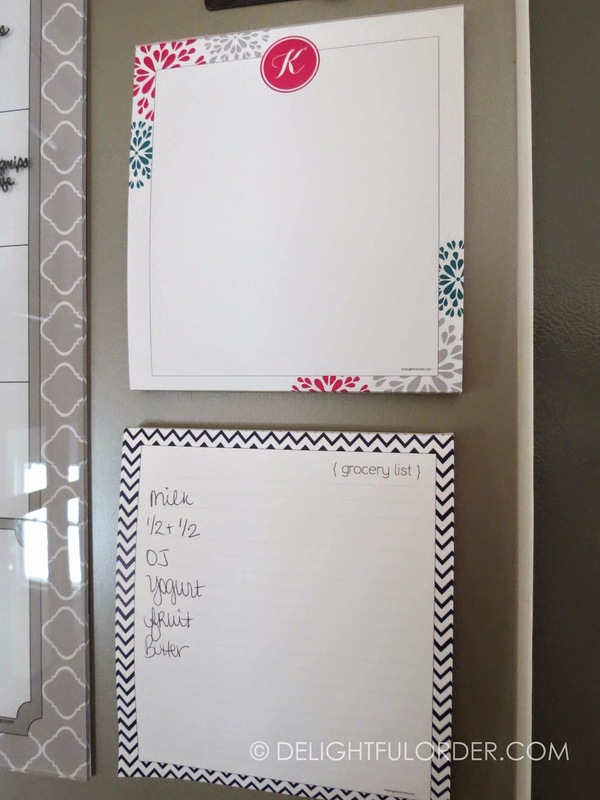 What did you use for the backing of your dry erase calendar? I love that idea and want to look at it closely. Just moved into an Asst. living facility and I bought along my old bullentin board but I'd like to be able to put a large current year calendar up there somehow without using nails or screws. 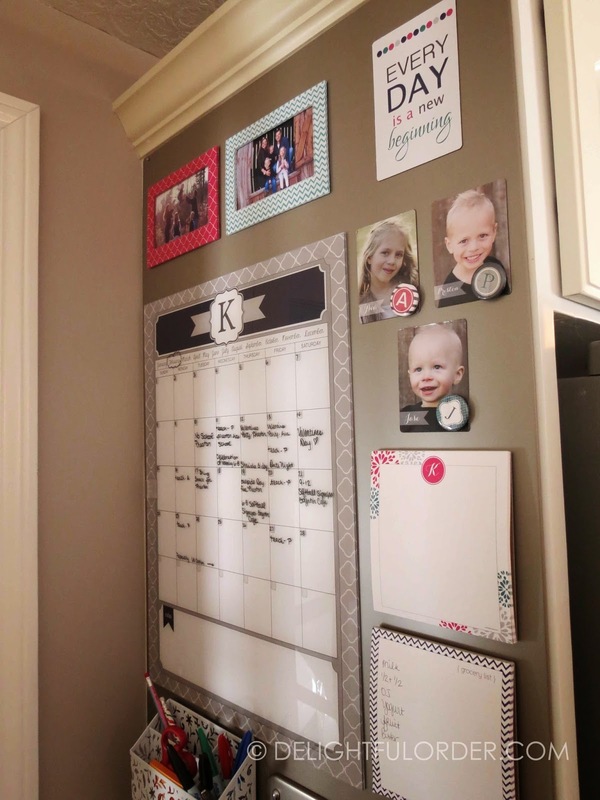 Would your clipboard with calendar be able to be hung by Command hooks? Did you cover an old picture frame to use for your inspiration? Is the clipboard padded? This looks so cute, and looks like it has so many uses! We've been considering doing something similar but with chalkboard - I think it'd be cute too. Love that you included so many pictures too!